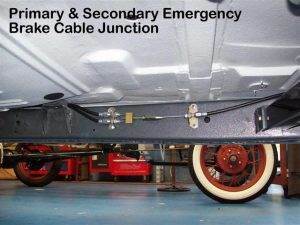 Let Select Motors return your classic car brake system to its original function and appearance. Often what appears to be an original brake arrangement is a severely mismatched set of parts that performs poorly. Select Motors has the expertise to diagnose and deliver a first class brake system for your classic car or truck. Our brake conversion and repair specialist have the skills and tools to do the job right the first time. Select Motors can upgrade your factory drum brakes to either a disc drum setup or a 4-wheel disc brake system. Our technicians will install the brake system of your choice or help you decide which conversion kit is right for your classic car. Select Motors’ technicians have the experience and solutions to contend with brake line, brake hose, brake proportioning, and mechanical pedal advantage issues associated with custom brake installations. 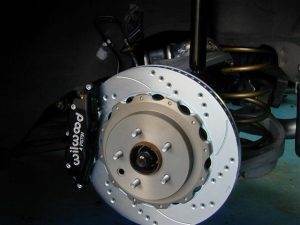 Custom brakes are offered by a large number of brake parts manufacturers. Often these parts are bundled in kits for a specific vehicle and many times they are sold as components. 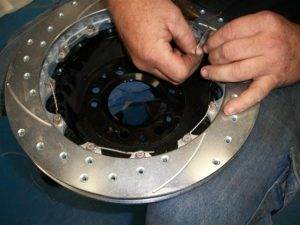 We can take the guesswork out of custom brake installation. 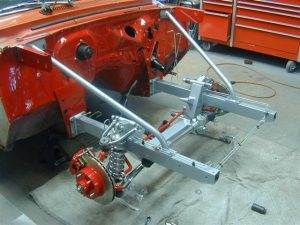 The restoration team at Select Motors can do this by fine-tuning your current brake system or by adding performance upgrades to your classic car. We often see brakes that are over boosted, under boosted, have the wrong residual pressure valves, or incorrect brake proportioning. We have the experience and the technical expertise to install the brake system you desire or tune your existing system. Our professionals can not only make your classic muscle car look good and go fast but assure that it handles properly and brakes quickly and safely. Call our project manager today at 318-640-4584 to discuss the brake system or your classic car or truck. We are available Monday through Friday from 8:00 am to 5:00 pm.